More details about Michael McDonald new LP that would be available on stores in February 2008 on Universal Music Group. It is a kind of "intimist Best Of" according to the words of Michael McDonald himself given recently to a French journalist in Nashville. This CD will have some cover versions: Van Morrison "Into the Mystic" ; Stevie Wonder "For Once in My Life" ; Ray Charles "You Don't Know Me" ; Leonard Cohen "Hallelujah" but also new songs from Michael McDonald. Some songs of this new LP of Michael McDonald have been recorded in Los Angeles with Simon Climie as a producer. Some musicians are already announced: Michael Thompson (guitars), Abraham Laboriel Jr (drums), Vinnie Colaiuta (percussions) and a very special appearance of Stevie Wonder on harmonica. 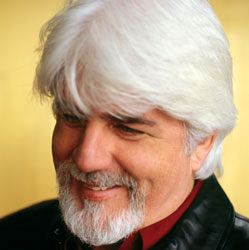 Although, we eagerly wait for this new album, Michael McDonald is one of the singer of a new song written, composed and recorded by Willie Nelson: "Whatever Happened To Peace On Earth" released November 21 on Lost Highway Records that will benefit to the National Veterans Foundation, a peace song on which appear such great names as Ben Harper, Jack Johnson, Michael McDonald, Patrick Simmons (Doobie Brothers), Lukas and Micah Nelson, Willie Nelson's sons. Live8: Alicia Keys, Josh Groban, Black Eyed Peas and Toby Keith, Live8 in Philadelphia. Alicia Keys, Black Eyed Peas and Toby Keith have joined the U.S. lineup of artists that will play the Live 8 concert in Philadelphia on July 2. Russell Simmons, chairman of the Hip Hop Summit Action Network, met with Bono last week to discuss Live 8 and has been working closely with producers on the Philadelphia show. In addition, a long list of A-list celebrity presenters will participate in Philadelphia; they include Salma Hayek, Natalie Portman, Chris Tucker, Jennifer Connolly, Jimmy Smits and Kami, the HIV Positive Muppet. Russell Simmons said, "My role in LIVE 8 is focused on America giving and to promote the idea that giving love, compassion and support is the foundation of a successful foreign policy. There is no defense greater than love." The Live 8 event will be broadcast entirely online at aolmusic.com, with special programming set to air on MTV, and on radio at XM Satellite Radio and on Premiere Radio Networks. These artists - among the biggest names in music - will be performing at all-star concerts in cities around the world to support the campaign to "make poverty history." Live 8 will feature concerts in Philadelphia, London, Paris, Berlin, Rome, Cornwall, Toronto, South Africa and Tokyo to raise awareness about poverty in Africa and encourage the leaders of the G8 nations to eliminate third world debt, increase aid to Africa and adopt fair trade practices. As the exclusive online partner, America Online will broadcast six of the Live 8 concerts live from start to finish at aolmusic.com in addition to a live worldwide broadcast of all of the concerts from around the world. AOL will also make the performances available on demand for six weeks following the event. AOL will help activate its worldwide online audience, by providing on-site reports from bloggers at the concert cities, links to news and information about poverty in Africa as well as to relief organizations and charities. "The commitment of these artists and actors to raising their voices to support the mission of Live 8 make poverty history is as inspirational as their work," said Tim Sexton, Live 8 America Executive Producer. 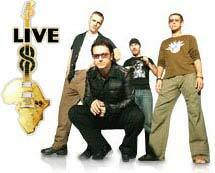 "We are not likely to see another event of the scale and passion of Live 8 again in our lifetime. Live 8 is honored to add these great talents to this unprecedented and historic global event." -- Johannesburg - 4Peace Ensemble, Jabu Khanyile and Bayete, Lindiwe, Lucky Dube, Mahotella Queens, Malaika, Orchestre Baobab, Oumou Sangare and Zola. Josh Groban "Live at the Greek" DVD (includes CD): ORDER IT NOW . Live8: Def Leppard will perform at Live 8 concert in Philadelphia, Live 8: Def Leppard. Def Leppard have been confirmed to play at the Live 8 festival, taking place around the world on July 2. Live 8 is organized by Bob Geldof, with eight free concerts that are held with the cream of international rock and pop artists performing in London (U.K.), Paris (France), Berlin (Germany), Rome (Italy), Philadelphia (USA), Barrie (Canada), Tokyo (Japan) and Johannesburg (South Africa). Hundreds of thousands will attend with billions more watching the international broadcasts, seeing artists such as U2, Elton John, Madonna, Pink Floyd, Dido, Bryan Adams, Motley Crue and many, many more. Def Leppard are performing at the Philadelphia show, where they will be joined by artists such as Bon Jovi, Dave Matthews Band, Stevie Wonder and many more. No further details about Def Leppard's performance are available at this moment. Fans will not need tickets for the show, but details of how to attend have not yet been released by the organization. Def Leppard "Rock Of Ages: The Definitive Collection" (35 tracks) 2 CDs: ORDER IT NOW . B.B. King 80th Birthday Benefit Concert feat. Bruce Willis and Montel Williams, B.B. King 80th Birthday Benefit Concert on Saturday, July 30. B.B. King, the music legend, is turning 80 years old, and some of the hottest names in entertainment will be by his side on Saturday, July 30 to honor the artist as the Isle of Capri Casinos, Inc. hosts the B.B. King 80th Birthday Benefit concert. Isle of Capri officials announced today a preliminary lineup for the concert, to be held at the Mississippi Gulf Coast Coliseum and Convention Center in Biloxi. Emmy-award winning television personality, author, activist and talk-show host Montel Williams will serve as master of ceremonies for this once-in-a-lifetime evening. Headliner entertainment for the evening will include motion picture and television star Bruce Willis, who is also a chart-topping musical artist. The Emmy- and Golden Globe-winner is best known for his roles as an action hero in the "Die Hard" movie series and for his role in the 1980s sitcom/drama hit "Moonlighting." However, Willis has pursued his love of music as a recording artist since 1986, when he released his first album, which went platinum and remained on the charts for 29 weeks. Joining Bruce Willis will be a variety of blues, country, jazz and rock artists, including Kenny Wayne Shepard, Deborah Coleman, Bobby Blue Bland, Jody Williams, Smokin' Joe Kubeck, Dr. John and Dickie Betts. The concert will also include King playing several of his greatest hits, accompanied by all of the artists in attendance. "B.B. King has encouraged and inspired so many musical artists and entertained several generations of blues fans; therefore, Isle of Capri is paying homage to this legend with a tribute concert featuring some of the top names in entertainment. Our concert host, Montel Williams, will bring his notable and respected presence to the stage and Bruce Willis, along with our many other talented stars, will provide an evening of diverse and dynamic entertainment," said Timothy M. Hinkley, Isle of Capri Casinos, Inc. president and chief operating officer. Isle of Capri Casinos, Mississippi's largest publicly held company, is hosting the country's only official B.B. King birthday celebration with B.B. King present, to raise funds for the planned B.B. King Museum, located in Indianola, Miss. The $10 million B.B. King Museum and Delta Interpretive Center will be dedicated to honoring the international bluesman, preserve the Delta blues heritage and encourage and inspire young artists and musicians. Tickets for the B.B. King Birthday Benefit, to be held on Saturday, July 30 at 8 p.m., will be available on July 1 and can be purchased at Ticketmaster. B.B. 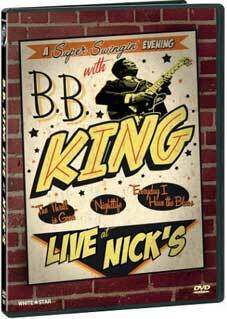 King "Live at Nick's" DVD: ORDER IT NOW . Philadelphia Freedom Concert and Ball feat. Elton John, Bryan Adams, Patti LaBelle, Rufus Wainwright, Philadelphia Freedom Concert and Ball against HIV/AIDS, July 4 in Philadelphia. With only days to go before the landmark HIV/AIDS awareness event and fundraiser, the Philadelphia Freedom Concert and Ball, headlined by Sir Elton John on July 4 in Philadelphia, organizers today announced the addition of Broadway star Bruce Vilanch and comedic actor Wayne Brady as co-hosts for the event, and sports legend Billie Jean King as a presenter. The three join a lineup that includes Canadian rock n' roll icon Bryan Adams (the first artist to open the American side of Live Aid in Philadelphia), R&B diva Patti LaBelle, broadcasting legend Walter Cronkite, Peter Nero and The Philly Pops, and singer/songwriter Rufus Wainwright. With an expected audience of 1.5 million, the Sunoco Philadelphia Freedom Concert is slated to be the largest, Ffree outdoor HIV/AIDS awareness event ever held. Scheduled to kick off at 8:25pm in front of the renowned Philadelphia Museum of Art, capped by a fireworks display, the event will be preceded by the Philadelphia Freedom Ball fundraiser, from 5 to 8pm in the main atrium of the Philadelphia Museum of Art, featuring appearances by the celebrity performers. Tickets to the Ball, as well as VIP tickets to the concert, are still available. Proceeds from the event will support the Elton John AIDS Foundation, which raises global awareness and resources for HIV/AIDS prevention and care services, and the Dr. Magnus Hirschfeld Fund, which will allocate funds to Philadelphia region HIV/AIDS service provider organizations. Funds are being raised through sponsorship, tickets to the Ball and concessions at the event. Emmy award-winning Wayne Brady is known for hosting "The Wayne Brady Show" for two years, and previously for his improvisational skills on ABC's "Whose Line Is It Anyway?" for which he won an Emmy and earned four Emmy nominations. In May 2003, he served as host of the Daytime Emmy Awards, where Brady and his series took home the top talk show honors and his performance resulted in TV Guide dubbing him "the so-talented-it's-scary Wayne Brady." Currently starring on Broadway as Edna Turnblad in Hairspray, Bruce Vilanch is one of the most sought-after comedy writers working today, having written for the "Quadruple Crown" of awards shows - the Oscars, Emmys, Tonys and Grammys - and co-writing 15 Academy Awards telecasts and winning six Emmy Awards. Vilanch is also known for his four seasons on "Hollywood Squares" and for his one-man show, as well as for his charitable work, including AIDS Project Los Angeles, Project Angel Food, AIDS Healthcare Foundation, Project Inform and countless others as part of his personal contribution to surviving what he terms "the plague." Sports legend, and member of the Elton John AIDS Foundation board, Billie Jean King has long been a champion for social change and equality, creating new inroads for women in and out of sports during her stellar career. One of the most illustrious and celebrated tennis players in history, King is recognized for spearheading the women's movement in tennis and for her lifelong struggle for equality in women's tennis. She empowered women and educated men when she defeated Bobby Riggs in one of the greatest moments in sports history - the Battle of the Sexes in 1973. In 1990, Life magazine named her one of the "100 Most Important Americans of the 20th Century." In 1994, she ranked No. 5 on Sports Illustrated's "Top 40 Athletes" list for significantly altering or elevating sports the last four decades. Heralded as an ardent defender of equal rights for all, King continues to work to inspire all in the pursuit of excellence through her foundation, Billie Jean King World TeamTennis Charities. One of the world's most beloved music icons, Sir Elton John last performed solo in Philadelphia for the opening gala of the Kimmel Center for Performing Arts in December 2001. In 1992, Sir Elton, who serves as its Chairman, established the Elton John AIDS Foundation. With offices in Los Angeles and London, the Foundation is an international non-profit organization that provides funding for prevention education programs and direct patient care services supporting men, women, young adults, children, infants, minorities and entire families living with HIV/AIDS. Since its inception, the Foundation has distributed more than $50 million in grants worldwide. The Dr. Magnus Hirschfeld Fund was established in 2004 to fund programs that foster education about HIV/AIDS, fight prejudice and discrimination, or deliver services to people living with or at risk for HIV/AIDS, with a mission of translating the best of contemporary social and medical science into change that protects, enhances, and saves lives. Hirschfeld was a German Jewish lawyer and activist who founded the first gay rights organization in history, launching the movement in Europe over 100 years ago. Rufus Wainwright "All I Want" new DVD: ORDER IT NOW . Live 8 Concert on July 2, Live 8 charity concert. Grammy Award-winning superstar bands Destiny's Child and Linkin Park have joined the lineup of artists that will play Live 8 concerts on July 2 that will be broadcast on aolmusic.com. Linkin Park and Destiny's child will play the U.S. Live 8 concert in Philadelphia. They join dozens of other top artists - some of the biggest names in music - who will be performing all star concerts in five cities around the world to support the campaign to pressure world leaders at the G8 Conference to "make poverty history." "We are thrilled to be a part of Live 8 and want to do everything we can to bring attention to those in need in order to beat extreme poverty across Africa," said Mike Shinoda of Linkin Park. "Live 8 will be the moment when Americans raise their voice as one and send President Bush on a wave of support to the G8 to make poverty history," said Jamie Drummond of ONE: The Campaign to Make Poverty History. Live 8 will feature concerts in five cities - Philadelphia, London, Paris, Berlin and Rome - to raise awareness around the world to help eliminate poverty in Africa by encouraging the G8 nations to eliminate debt, increase aid and adopt fair trade practices. Linkin Park and Destiny's Child will play at Benjamin Franklin Parkway in Philadelphia, joining a line up including: Bon Jovi, Dave Matthews Band, Jay-Z, Kaiser Chiefs, Keith Urban, Maroon 5, P Diddy, Rob Thomas, Sarah McLachlan and Stevie Wonder with Will Smith as host. Artists confirmed to perform at the Live 8 concert in London include: Annie Lennox, Bob Geldof, Coldplay, The Cure, Dido, Sir Elton John, Joss Stone, Keane, The Killers, Madonna, Mariah Carey, Ms. Dynamite, Muse, Sir Paul McCartney, Pink Floyd, Razorlight, REM, Robbie Williams, Scissor Sisters, Snoop Dogg, Snow Patrol, Stereophonics, Sting, U2. Paris performers confirmed include: Andrea Bocelli, Axelle Red, Calo Gero, Craig David, Jamiroquai, Johnny Hallyday, Kyo, Manu Chao, Placebo, Renaud, Youssou N'Dour, Yannick Noah, Berlin, A-ha, Bap, Brian Wilson, Crosby Stills and Nash, Die Toten Hosen, Lauryn Hill, Peter Maffay. And confirmed to perform in Rome are: Faith Hill, Irene Grandi, Jovanotti, Laura Pausini, Nek, Tim McGraw, Vasco Rossi, Zucchero. "Live Aid" 4-DVD set: ORDER IT NOW. Bon Jovi on Live 8 concert, Bon Jovi new album, Bon Jovi at Live 8 Charity Concert. 100,000,000 Bon Jovi fans ... will be only a fraction of the worldwide audience who will see the Island recording group, when they appear at the Museum Of Art in Philadelphia on July 2nd as part of the American lineup of "Live 8: The Long Walk To Justice." The once-in-a-lifetime all-star event, organized by Sir Bob Geldof on the 20th anniversary of the "Live Aid" concerts, will present concerts in London, Berlin, Paris, Rome, and Philadelphia on the eve of the international G8 Summit in Edinburgh, Scotland. Further information is available at www.live8live.com. "We're excited to be part of such a great lineup of artists for these shows," said Jon Bon Jovi. "And we're honored to help fulfill Bob's vision. The impact he made in Africa twenty years ago is still the benchmark by which all charitable music events are measured." The Live 8 news comes simultaneously with Bon Jovi's announcement of the completion of their 14th release, still untitled as of this writing, set to arrive in stores in the U.S. and Canada on September 20th. The album's first single release, "Have A Nice Day," will enjoy its world premiere at radio on July 18th. The track was produced by John Shanks, Jon Bon Jovi, and Richie Sambora; Shanks was voted Producer of the Year (Non-Classical) at this year's 2004 Grammy Awards. The complete song listing for the album is as follows: "Have A Nice Day," "I Wanna Be Loved," "Welcome To Wherever You Are," "Who Says You Can't Go Home?" "Last Man Standing," "Bells Of Freedom," "Wildflowers," "Last Cigarette," "I Am," "Complicated," "Novocaine," and "Story Of My Life." Further details on the album will be announced in the weeks and months ahead. The new album is the long-awaited follow-up to This Left Feels Right, Bon Jovi's last studio album, released November 2003. The most recent release is 100,000,000 Bon Jovi Fans Can't Be Wrong, the deluxe 5-disc box set (4 CDs plus bonus DVD), released November 2004. Jon Bon Jovi "Destination Anywhere" CD: ORDER IT NOW. Sheryl Crow, Rod Stewart, Richie Sambora, Melissa Etheridge, Kiefer Sutherland, Mick Fleetwood (from Fleetwood Mac), Joe Perry of Aerosmith, Brian Johnson of AC/DC for Rock The Cure Charity. Hollywood's brightest stars, including Expedition Inspiration Auction Chair Tea Leoni, David Duchovny, Ben Stiller, Christine Taylor and others, will gather at Hard Rock Cafe Los Angeles for "Rock the Cure," a star-studded event to raise awareness and money for The Expedition Inspiration Fund for Breast Cancer Research. The event will feature a live auction of 50 custom-made Gibson SG Special guitars designed and decorated by such rock icons and entertainment greats as Sheryl Crow, Rod Stewart, No Doubt, Richie Sambora, Ellen DeGeneres, Melissa Etheridge, Kiefer Sutherland, David Carradine, Mick Fleetwood, Joe Perry of Aerosmith, Brian Johnson of AC/DC, and others. A guitar designed by Wendy and Kim Cobain, mother and sister of late multi-platinum Nirvana front man, Kurt Cobain, will also be sold. Kurt's mother is a breast cancer survivor and has decorated the Cobain Family guitar with never-seen-before photos of the grunge artist. Money raised will fund promising new research at the USC/Norris and UCLA/Jonsson Comprehensive Cancer Centers, both leaders in cancer prevention and research. 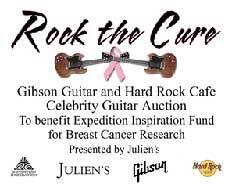 The event at Hard Rock Cafe Los Angeles is closed to the general public, but consumers will have the opportunity to begin bidding on the guitars April 24, 2005 online at www.juliensauctions.com. The online portion of the public auction will end at midnight on May 3, pausing briefly for the live auction between 8:30 and 10 p.m.
Melissa Etheridge "Lucky Live" CD+DVD: ORDER IT NOW.